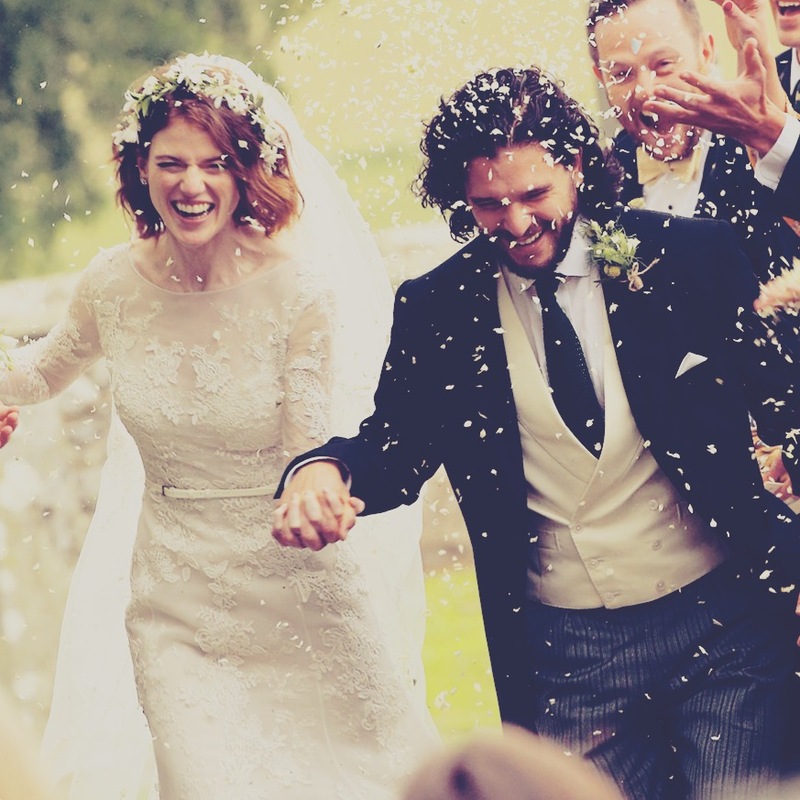 Hear Ye, hear ye; Kit Harington and Rose Leslie are married! Jon Snow may know Nothing but Kit Harington Knows When to Bend the Knee! Hear Ye, hear ye; Kit Harington and Rose Leslie are married! The couple, who met on the set of the the HBO hit “Game of Thrones”, officially tied the knot on Saturday, June 23, 2018 in a beautiful wedding ceremony in Kirkton of Rayne church in Scotland. Sparks flew between the couple when they spent the second season of GoT filming in Iceland. When asked what made the country so special, Kit replied; “Because the country is beautiful, because the Northern Lights are magical, and because it was there that I fell in love,” he said. “If you’re already attracted to someone, and then they play your love interest in the show, it becomes very easy to fall in love.” The couple, who announced their engagement on September of 2017, shared their joy among a close-knit group of family and friends at the Rayne Church in Aberdeen. Rose, who wore a beautiful long-sleeved, embroidered, flowered Elie Saab gown with matching veil, arrived with her father, Sebastian Leslie, who wore a kilt for the event. Kit, who traded his Knight’s Watch attire for a dapper topcoat and pin-striped pants, wore a beaming smile on his face throughout the ceremony, unlike the broody scowl that his character, Jon Snow, often portrays. After the ceremony, the couple was greeted with cheers and sprayed with rose petals by friends, family and a few lucky fans who were fortunate to attend the event! The couple invited 200 people to their nuptials, including GoT costars: Emilia Clarke, Maisie Williams, Peter Dinklage, and Sophie Turner. The reception is to take place at Wardhill Castle, which is the bride’s ancestral home. What did their GoT co-stars have to say about the event? Well, Emilia Clarke put it best; “Their wedding is going to be siiiiick,” she told a Vanity Fair reporter. We agree, especially in regards to the gorgeous wedding dress! Congratulations to the happy couple and may this union be blessed by the Seven!